There were lots of interesting things at the Windsor Terrace Greenmarket this morning, like cardoons and field peas. 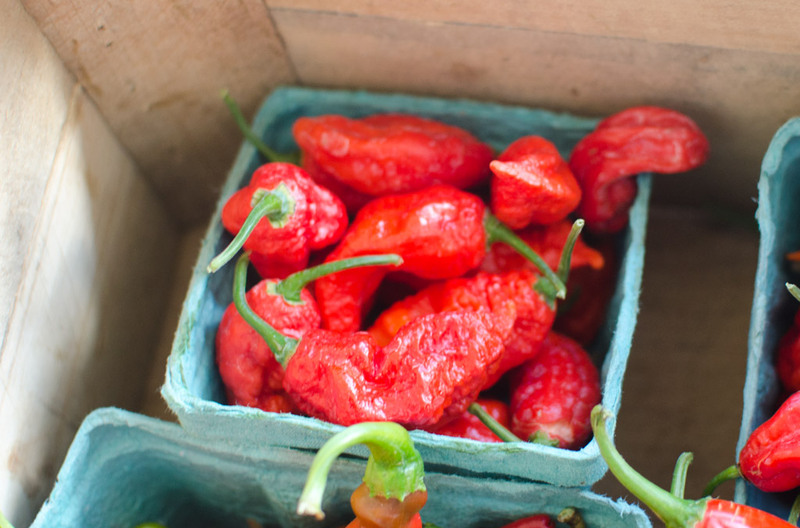 But the honor of Market Watch had to go to these ghost peppers (aka dorset naga). To give you an idea of how hot these chiles are, lets talk about the Scoville scale (which measures the heat of chiles). Bell peppers are at zero, jalapenos are around 5,000. Habaneros, often called the hottest peppers around, are about 200,000. Ghost peppers rate over one million on the Scoville scale. So if you get them, be very careful not to touch anything sensitive after handling them.